Michigan Lottery Games - Do They Worth Your Time and Money? 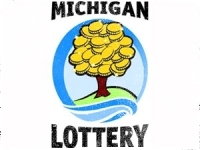 It’s often been noted that within the state of Michigan there are an incredibly wide variety of lottery games for players, as well as some other specific specialty games too. Here, we take a look at Michigan Lottery games and whether they’re worth a punt, or parting with any of your hard earned money. The lottery in Michigan was originally set up in 1972. It was created to try and help with the public school system there and part of the deal was that as well as members of the public winning huge jackpots, money would go directly back into the education system. However, the lottery in this state is not without its controversy, despite the attempts to plough money directly back to good causes. In fact, a Watchdog Team based in the state has managed to track and expose vulnerabilities in the lottery games played there, when of course they’re supposed to be games of chance. What Are the Michigan Lottery Games? MI Powerball is played Wednesday & Saturday. Players choose 5 numbers between 1 and 59, and a Power Ball. 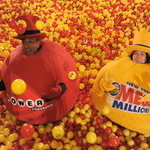 The Mega Millions game plays Tuesday and Saturday with players choosing 5 numbers between 1 and 36, and a Mega Ball. MI Lottery offers their Michigan Classic Lotto 47. Played on Wednesday and Saturday, players choose 6 numbers between 1 to 47. There’s no bonus ball with this game and a random number generator is used. A mid-range lottery played daily just before half past seven in the evening. Players choose 5 numbers from 1 to 39. It’s a 4 tier prize game which will pay out down to choosing 2 correct numbers. Here players pick 10 numbers from 1 to 80. 22 balls are drawn and this pays out if you gate 10 out of 22. The jackpot is always a flat $250,000 and there is never any chance of a rollover. Club Keno is played every four minutes from 6:00 am to 2:00 am. Players pick 10 numbers from 1 to 80. The jackpot pays out if players pick the correct 10 numbers from the 20 drawn. There are also two other options for the game; choosing The Jack this gives an additional set of quick pick numbers. The other option is ‘The Kicker’, in which any winnings are multiplied by a number between 1 and 5 depending on the numbers that are spun on the wheel in the game. The WZZM 13 Watchdog team began an investigation into the lottery system in Michigan and found evidence that there were some players using a low-risk keno game played there to turn tens of thousands of dollars in lottery bonus money into free cash. Bonus Money, or Bogus Money..? The online version of the Michigan Keno Game opened in 2014 and there have been giveaways of anywhere up to $100 on bonus money for anyone who has signed up to gamble on the new website. Up until 2016 m it was believed that more than half a million people signed up to play on the web site. In fact, it actually generated $48 million for the state in that year alone. It was estimated that the lottery bureau provided $888.9 million to the School Aid Fund in 2016 in Michigan, and it raised questions as to how proper this was, given the money was coming from bonuses. Executives were quite clear that the bonus money gets more people gambling money on the site which helps fund schools and that all that was perfectly legal and above board. Various people on internet forums were boasting that they were able to get “free money.” from playing this lottery and said that the lottery was being pretty good to them all round. Some players reported that they were making profits of around $62 on any $100 bonus that the Michigan Lottery provided. Statistical charts showed there was a 99-100% probability of being able to play the Michigan Lottery Game at its own game so to speak. If a player puts $200 into the Michigan lottery’s website as a first-time player, then that player would automatically receive a one-time sign-up bonus of $100 simply by using the “BONUS” code. They would then have $300 which they could gamble on the Fuzzball Keno game. The player then has to play three hundred games of Fuzzball Keno, just with the one, same ball at $1 a game. If they get their ball selected they win double money. If they lose, they get half of the betted money back. When the game was tested and exposed independently it was found on three occasions, with three different users that as much as $59-$60 dollars extra could be made in bonuses simply by sticking to the rules above and playing the game in this way. There are now fears that people could be getting into debt to play the game and that at the very least it is unethical for the money to be put back into schools. In the expose, it was found that the Michigan Lottery gave out more than $2 million in promo money to players on the online platform in 2016. At the present moment it isn’t clear just how much of that was then used to claim bonuses. In fact, Calvin College statistics professor Thomas Scofield said he believes what’s been posted is “true” and that the 99 percent and 100 percent figures that have been quoted are accurate. “The author has rightly calculated that the expected profit for the various strategies the rows represent is $62.50,” Scofield commented. Fuzzball Keno is still currently active and being played. Top Reasons Why You Should Give Up Your Lottery V-Card. This Is Definitely Worth Reading! Scratch-Offs, Multi-Million Jackpots, and Now Lottery Raffles… Oh My!